International Bacon Day is every Saturday before Labor Day. Everyone celebrates Bacon Day differently, but the main idea is to enjoy and celebrate the goodness of bacon! Here, I have kept track of how my husband, friends, family, and I have celebrated Bacon Day over the years. I also included some entertaining tidbits. 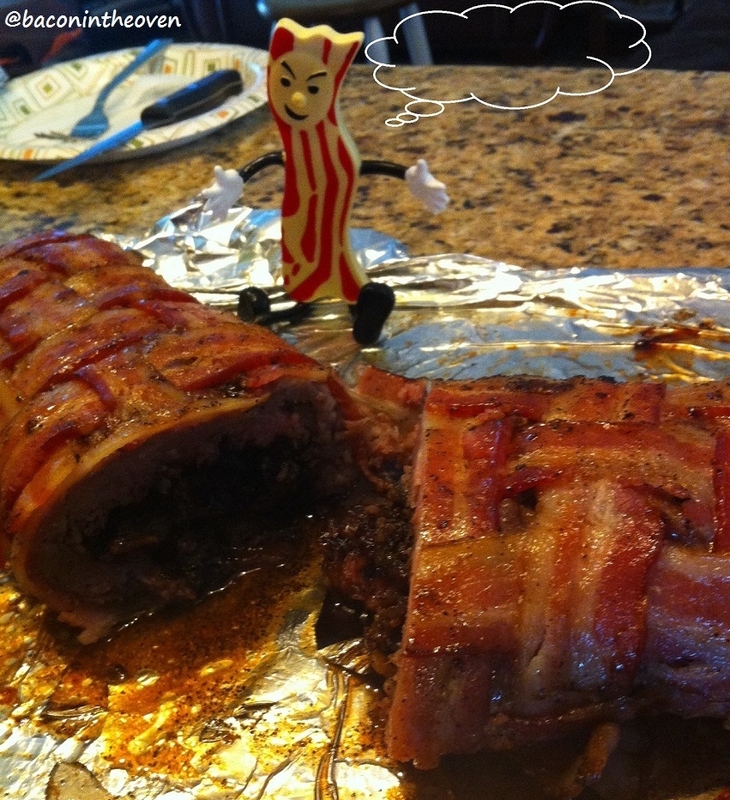 If you have an awesome idea on how to celebrate Bacon Day or want to share how you celebrated, please drop me a line! Email: BaconNerd@yahoo.com or Twitter: @baconintheoven. 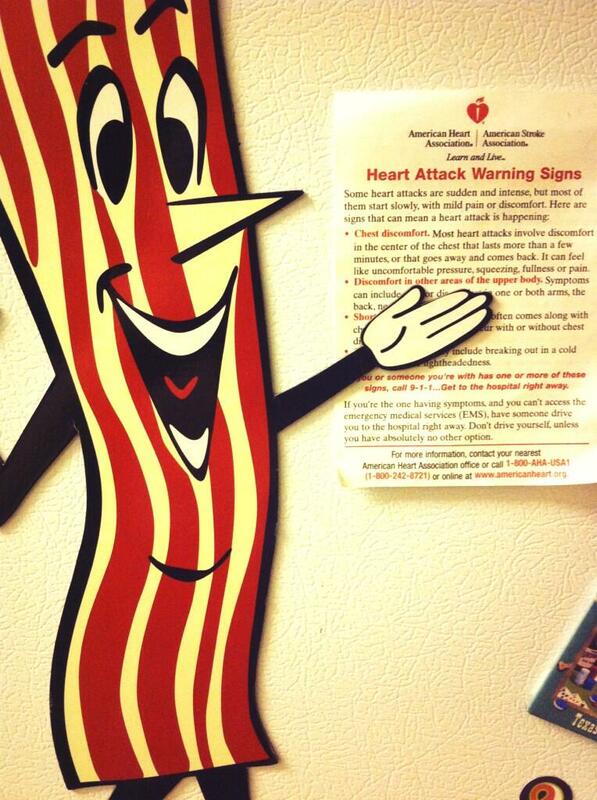 You can also check out the ARCHIVES for all posts in regards to International Bacon Day. In 2009, we dipped our feet in, just cooking a lot of bacon. We did some basic treats: Bacon Chocolate Cupcakes and Chocolate Covered Bacon. In 2010, I decided each meal needed to be covered. I made sure to have breakfast, lunch, dinner, a snack, and dessert all bacon-related creations. In 2011, we made it into more of an EVENT. We had friends and family over. We made new recipes. We got out the grill. 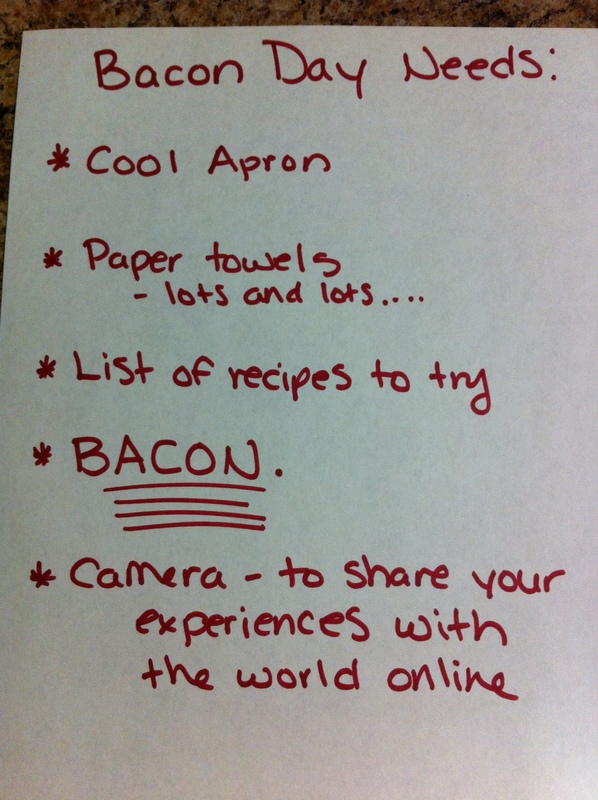 We went all out with bacon creations and I was able to really get started on “My Recipes” section. In 2012, we went to my families reunion out of town. So our bacon adventure was shared with family. I used this time to take a cake recipe of my Grandmothers and incorporate bacon into it. My family loved it! In 2013, we celebrated at a rental house that my family rented for the weekend. There was a combination of family and friends attend! We had a larger number of people this year and a larger variety of treats to try. We went with a “potluck” type theme so everyone could participate. Check out the link to see the menu and from there be directed to recipes! In 2014, we celebrated in our home with so many guests! We had a mix of family and friends, who all brought food and booze. We were so overwhelmed with all the generous offering for the celebration. It was heartwarming to see how many people wanted to be a part of bacon this year. There was so much, Ric and I didn’t even get to two of the recipes we planned to do. In 2015, we once again celebrated at a rental house. The amount of food brought by family and friends exceeded more than any other year! We had some much left over and were unable to make some recipes. We really need to start thinking of a larger location for next year because our guest list keeps growing! I do have rules when it comes to Bacon Day. 1. At least one brand new recipe must be done. That day will be the day to try it. 2. All bacon cooked must be eaten. Even if cooked for a sculpture. 3. The following categories must be covered: Breakfast, Lunch, Dinner, Snack/Appetizer, Dessert, and Drinks/Booze. 4. The colors must be represented. Wear your choice of combination of colors: red, white, brown/tan, pink. You can only opt out on the colors if appropriate attire includes bacon or a pig. 5. Try different types of bacon (unless serious diet restrictions keep you.. understandable). Try different cuts, flavors, meats. Thick cut, thin cut, beef bacon, turkey bacon, hickory smoked, cherry smoked… There is a huge selection to choose from! *TIP: Collect pink/red/white decor from the clearance racks after Valentine’s Day! Get cups, plates, napkins, plastic ware, and steamers cheap! Picture by friend, Charlie. Click the photo to be directed to his Flickr account. Fill in your own caption in the bubble!